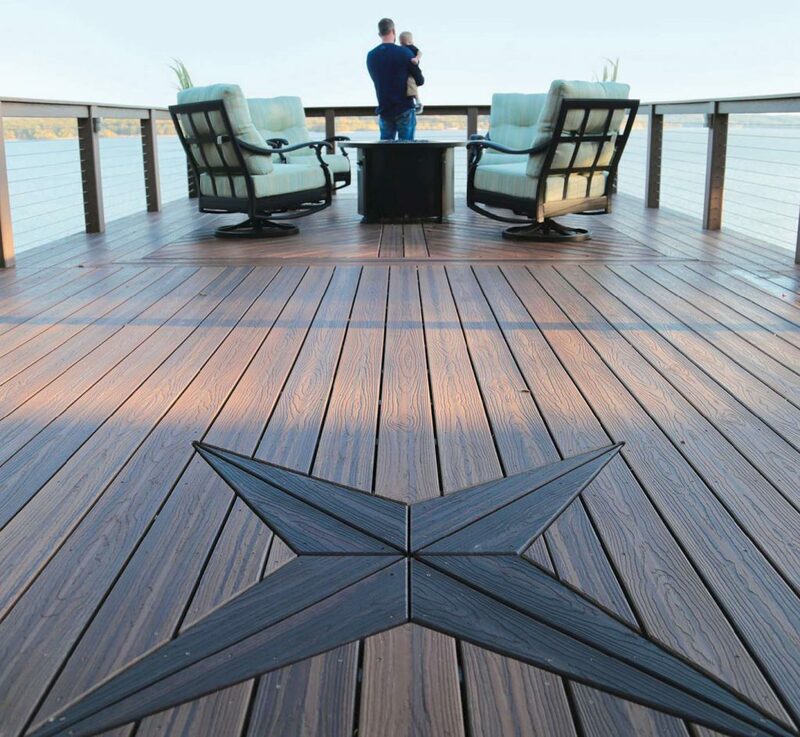 LAMAR, MISSOURI – April 22, 2019 – The Envision® brand already provides the most uniquely beautiful decking in the industry, but now, homeowners can feel even better about their product of choice as the brand announces that it incorporated 215.8 million pounds of recycled materials into its products between 2013 and 2018. These newly announced sustainability numbers represent material that may otherwise have ended up in a landfill, including more than 144 million pounds of recycled sawdust, and more than 71 million pounds of recycled plastics between 2013 and 2018. The total weight of these materials is equivalent to more than 700 Blue Whales, the heaviest animal on Earth. 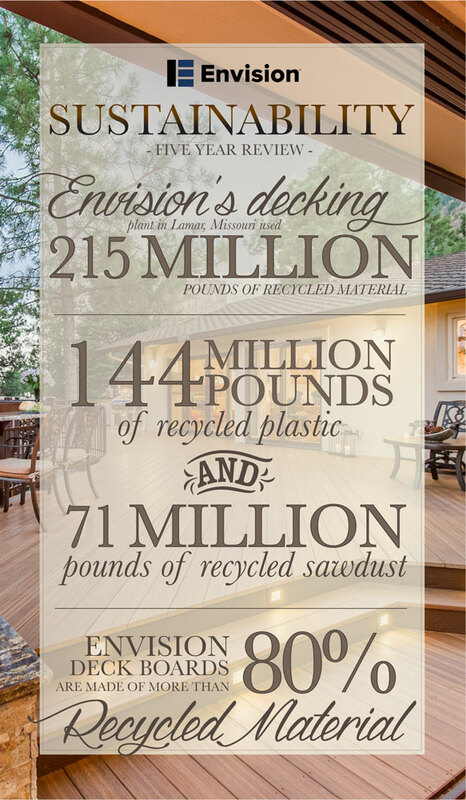 As a result, Envision® deck boards consist of more than 80 percent recycled content, something consumers can feel good about using to beautify their homes, while being environmentally conscious. LAS VEGAS, NEVADA – February 19, 2019 – TAMKO Building Products, Inc. introduces a powerful, new tool that contractors can use to help close the sale when pitching a deck project. 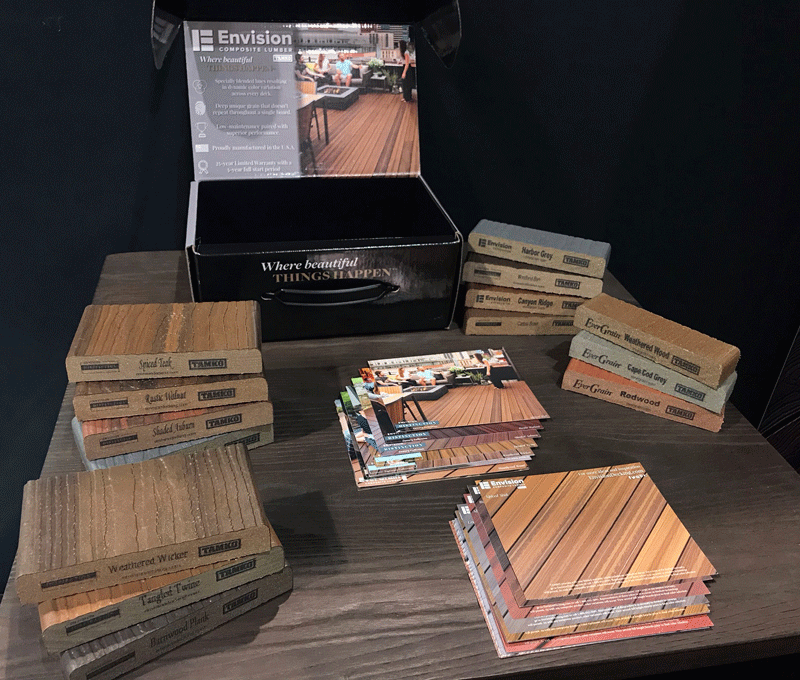 The Envision® Contractor Box is now available exclusively for contractors and contains beautiful imagery, one-of-a-kind swatch cards and decking samples. These valuable assets are designed to find the perfect decking to match a homeowner’s individual style. Inside the Box, contractors will find not only traditional product samples, but the new Envision and EverGrain color swatch cards as well. These cards are a fresh and convenient way for homeowners to color-match other items including furniture, siding, hardscape materials and much more when shopping for their dream deck. The cards contain extraordinary installation images on one side and a close-up product shot on the other. LAS VEGAS, NEVADA – February 19, 2019 – In a sea of sameness, TAMKO Building Products, Inc. invites builders and architects to feel the difference of Envision Composite Lumber, the composite decking with a beauty so unique you must experience it through touch. Envision’s construction is the source of its more-than-surface-deep beauty. 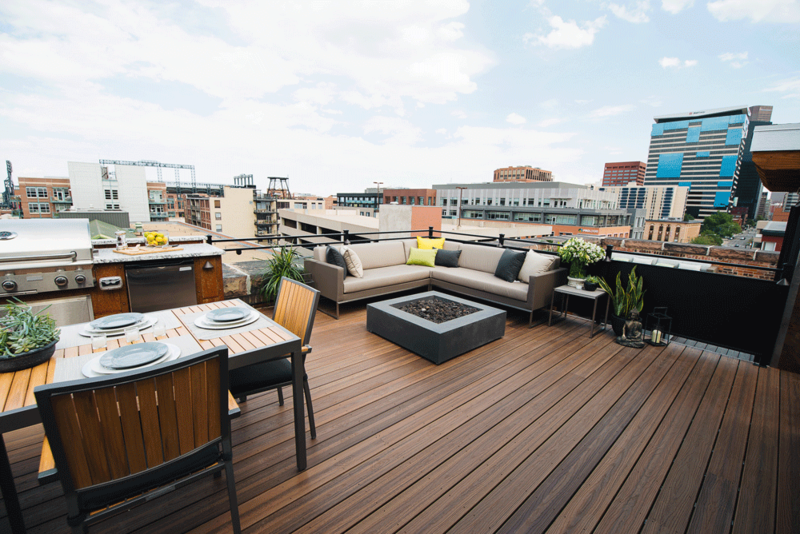 Envision’s exclusive compression molding technology is the only one of its kind in the composite decking market, and uses tremendous heat and pressure to form the boards. Other composite boards on the market are extruded, then embossed with a grain pattern on the board’s surface. The Envision process compresses the beautiful wood-grain into the board for a deep grain you can feel and a natural-wood appearance complete with tree-like knots. 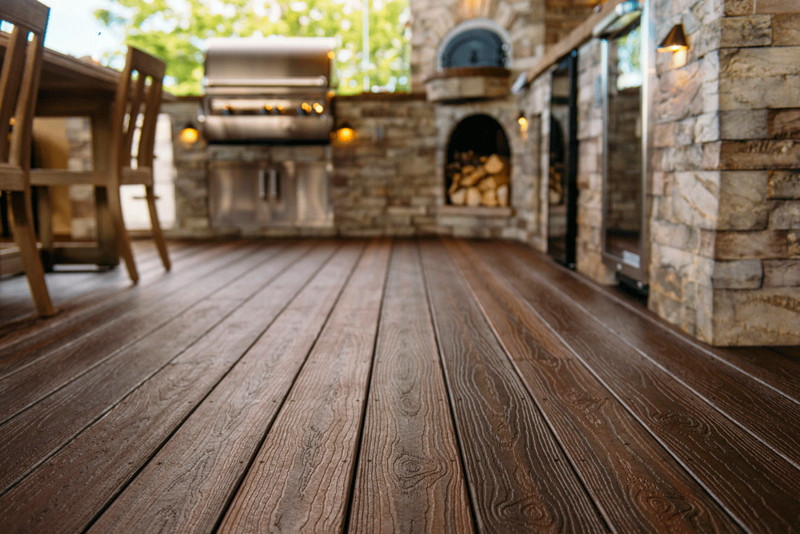 And that deep, wood-like grain never repeats across a single Envision deck board thanks to Envision’s proprietary manufacturing process. The leading competitor’s boards can repeat up to five times on each 16-foot board. The beauty of this product could never be measured by a single deck board due to the non-repeating grain and striking shades with a variety of highlights. For instance, the Envision Distinction luxury collection boasts four to six colors and highlights per board that must be seen installed for a complete appreciation of the product’s unmatched aesthetics.